After being downgraded just three months ago by equity research organisation Berenberg, Abcam has been put back onto the company’s buy list following the bank having a change of heart over the life science supplier. We spoke to Berenberg analyst Charles Weston, who explained: “We downgraded our rating on Abcam three months ago based on valuation, but we felt at the time we were missing some insight into the company that was holding back a more bullish view. 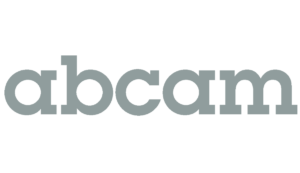 Abcam Inside is the name for Abcam’s work with diagnostic and therapeutic companies, where it provides them with commercial rights to specific antibodies in return for a small upfront fee and low to mid-single-digit royalties on sales. Its team of 30 people deliver 150-plus projects per year to its customers. In developing the report, Charles also worked with CiteAb founder Andrew Chalmers and included data from CiteAb to help the company rethink its recommendation. Shortly after Berenberg’s announcement, Abcam shares were up 8%.